This 2018 Easton Beast X Speed BBCOR Baseball Bat (BB18BXS) features a standard 2 5/8-inch barrel diameter, a drop 3 length to weight ratio, and a thicker 31/32-inch handle diameter. On top of that, the Beast X Speed comes with a balanced swing weight for more speed behind each swing and more control through the zone. If you're a high school or collegiate athlete who considers themselves a contact hitter, you need to buy one of these Easton Beast X Speed BBCOR bats today with free shipping and 24/7 customer service. Never forget, we'll be here from click to hit! Pros: The ping is comparable to the CAT 7. The sweet spot is huge. I really like the feel of the 1.4mm hyper skin grip. Easton is giving marucci cat 7 and Rawlings VELO a run for their money in the all alloy space. Cons: I'll never understand why everyone keeps using white cosmetics. It gets dirty way too easy but whatever... it's a bat. Pros: I bought it when it came out, and I'm very surprised on how well it turned out to be. I do not normally like one piece alloy bats, but this one has a ton of pop and you get almost no vibration. I also like the looks of the bat, the gold accents look amazing. Cons: The only thing wrong is the grip tape. If you do not have the best batting gloves, the grip will get dirty and got a little bit slippery, but this is easily fixed with buying a lizard skin. Pros: Well built and balanced swings lighter than a similar drop -5. First two games wit it three singles a double. When you hit it on the sweet spot, it is one of the loudest bats out there. It quickly became the favorite bat if the team's top batters. Cons: The white grip gets dirty in no time. Why not use a white, gold and black pattern? Pros: I was very scared to put this much money into an end loaded bat. It was money well spent. The pop is unreal on this bat. Zero vibration and solid power. Cons: The white grip gets dirty really quick. Had to change it immediately. Pros: Most of the reviews are accurate. The bat is balanced well so it doesn't really feel like a -3, more like a -5. It has a large sweet spot and has great pop... the ball flies off the bat as well as anything else we have used. Some dislike the white scheme, I happen to think it us unique and looks pretty cool. Bottom line, for $200... you won't get a better bat! Cons: If any, the handle tape lacks grip when wet. I would recommend this bat but would suggest removing the stock tape and replacing it with Lizard Skin tape. It's cheap and offers great grip ability. Pros: price. look.. this is easton's option for a 1 piece, alloy, bbcor, balanced bat. it competes with rawling 5150 and velo lousiville slugger Omaha 518 $ solo 618 dmarni voodoo 1 marcucci cat 7 my son (5'3", 92 lbs) swung the 31 inch version all of these bats at a local shop except the solo 618 which aparently is impossible to get. i asked his opinion after each. out of all of them he hit best with the speed x...so that is great for him. better for me because the speed x is $50-$100 less than most of it's peers. it is hard to judge sweet spots, but this bat seems to have a bigger barrel than the others. gotta put just bats as a pro. fast shipping and easy ordering/paying. Cons: it's a 1 piece bat. if you get jammed, you will know it and it will tingle. He hates it, but i find it hard to put this as a con because all 1 piece alloy bats do this. He said it didn't feel as balanced as the velo and again he never had a chance to swing the solo 618. grip tape isnt the most comfortable and is thin. Pros: I ordered this bat on a Tuesday and it came in that next Monday (standard shipping) The bat is very balanced. Swings are just more comfortable. The pop on the bat is like a cat 7 but i find it better. All of the players on the team have gravitated towards this bat after hitting with it once. The grip gets a bit dirty but feels good, and the alloy really makes the ball fly. Even people with cat 7s like this one better! Pros: My son never hit home runs, but with this bat he has hit several during practice. He is easily to complain about various bats, gloves, etc, no complaints and that's a good sign! Cons: Gets dirty and paint is easy to chip. Pros: Bat looks great out of box changed grip right away. Ball jumps off bat crisp line drives and great carry to the gaps. Excellent bat for this price point. Cons: White grip not real popular with players. Ping is very loud inside, ear plugs a must for cage pitchers. Pros: my son's excitement upon receiving the bat. The reviews help so much thank you! Pros: This bat was used in 25-30 degree Temps for two weeks for unseasonably cold weather High school baseball. Out of the Box the bat was ready. The ball was flying off this bat (Easton Beast Speed). Comparing to other kids on Both teams the ball was not flying off their bats in the cold. Just can't wait to see what it does in warm weather. Barrel is very forgiving on missed hits Balance is Nice. Much better at protecting the plate down in the count. Speed, Catching up to those fastballs . I'm talking 85-93 mph HS pitching we see in our league Design is Sweet. Best looking bat, (we don't share!) Most Important. Confidence. The performance this bat will provide to the Player and what can be considered the most important tool is Confidence! Confidence at the plate!! The kids know of they do their job the Easton Beast X Speed will do it's job. Cons: I don't Fret over White bat grips. I see reviews where people complain about white bat grips. I don't want a pretty boys on my team. I want players not afraid of a little dirt and in for the grind. Apparently those folks crying about white on the bat. Obviously never used Pine tar, BEES WAX, Tiger Stick on bat. Pros: I wish y'all could use this bat in the majors. Cons: Get this bat it is a Smooth bat. Pros: Bat is performing as reviews have said. Ball comes off pretty quick, great balance and swing. Purchased for my 13 yr old grandson, he did not like the new bat requirements going to USA bats this year, no pop at all. Did not think he could make the jump to -3 BBCor so early, but with some adjustments, he and his teammates have made the change and this bat performs awesome. First game using it you could tell the pop was great, one player hit a HR and my grandson had a triple off it as well. He says the swing is great and balanced, the proof is in the pudding. This is our first all alloy bat as we have been using composite up until the new rules, but this bat performs. Pros: i think its all been said already, i purchased this bat fir my grandson based on reviews, he is not disappointed! Cons: White tape on handle but its really not a big deal! Cons: Grip can be uncomfortable and gets dirty. Have a question about the 2018 Easton Beast X Speed BBCOR Baseball Bat: BB18BXS? Ask our team of experts and they will respond within 24 hours. Will this bat or one of the 2018 bats be cheaper if I order after the pre-order date and arrival? I was thinking about this bat for a Christmas present. Will it be cheaper by December? The 2018 Easton Beast X Speed BBCOR Baseball Bat: BB18BXS will most likely go on sale sometime in the summer of 2018. I am 5'7" and 190lbs who hits with gap to gap power. Which one of the new 2018 easton bats would you recommend and what size bat? Based on your height and weight I would recommend the new 2018 Easton Beast X Speed BBCOR Baseball Bat (BB18BXS) in the 33"/30 ounce size. Is there a speed composite bat that Easton will make this year? At this this the only composite BBCOR model that Easton is making in the 2018 lineup of bats is the 2018 Easton Ghost X BBCOR Baseball Bat: BB18GX. The 2018 Easton Beast X Speed BBCOR Baseball Bat: BB18BXS will be their one-piece all alloy model. What's the difference between this bat and the Easton Zcore Speed Whiteout from last year? The 2018 Easton Beast X Speed BBCOR Baseball Bat (BB18BXS) has a longer barrel allowing for a bigger sweet spot. This grip is 1.4mm whereas last years was 1.2. The alloy is also a bit different, it allows for more durability and pop. How does this bat match up to the Easton Z-Core Speed 29" -3 with a swing index of 5.2? The 2017 Easton Z-CORE Speed BBCOR Baseball Bat: BB17ZS featured the same 5.2 Swing Weight Index as the 2018 Easton Beast X Speed BBCOR Baseball Bat: BB18BXS model in the 29" size. How is the weight distribution? Is it top heavy or evenly spread out? The 2018 Easton Beast X Speed BBCOR Baseball Bat: BB18BXS features a balanced swing weight and is considered a lighter feeling bat as a result. I'm looking into either buying the Beast Speed or Beast Hybrid, which would you recommend? I'm about 6'3" and 175 lbs. I'm a line drive hitter with occasional home run power. It would be hard to say one would be better for you than the other since both feature qualities that benefit your style of hitting. The 2018 Easton Beast X Speed BBCOR Baseball Bat: BB18BXS is going to be more balanced than the Beast X Hybrid, but the Hybrid offers a two piece design that a lot of line drive hitters like. If you've used a two piece bat most recently, I would go with the Hybrid, but if you've used a one piece bat most recently, I would suggest going with the Beast X Speed. My son used 32/29 Cat 7 and the Voodoo balanced and loved them both, since no Cat 8 this year and his Voodoo is still in pretty good shape, is this bat as good as the Cat 7 and Voodoo? Or do recommend the 2018 Voodoo over the Easton beast X? I would recommend the 2018 Easton Beast X Speed BBCOR Baseball Bat: BB18BXS, it features an extremely long barrel and Z-CORE Internal Core Technology For A Massive Sweet Spot. Would this bat have enough pop for more homeruns with people with power like me? The 2018 Easton Beast X Speed BBCOR Baseball Bat: BB18BXS would be a great option for a power hitter. Does this bat meet the 2018 bat requirements? Does it have the USA bat stamp? The 2018 Easton Beast X Speed BBCOR Baseball Bat: BB18BXS does not feature the USA Baseball stamp as this is a BBCOR model. A BBCOR bat is required of all high school and college baseball players and these bats will only ever feature the BBCOR stamp. The USA Baseball stamp can be found on bats that are -5 or lighter with regards to length to weight ratio. How come when I hit the barrel sometimes the bat has no ping at all? It sounds dead and bad. Unfortunately it's impossible for me to say without seeing and hearing it first hand. Bats do die over time and lose some of their trampoline effect. If you believe the bat is dead, you could use your one-time warranty replacement through Easton if you are still within 12 months of the date of purchase. I just asked why my bat sounds dead it was the first time I used it. If you are just transitioning from USSSA bats to BBCOR, you may notice the performance may not be the same. The BBCOR regulations are stricter than USSSA, lowering the performance due to safety concerns at the high school and college levels. Composite models like the Easton Beast X will have more of a dull sound to them. If you believe the bat is dead, you can use your one-time warranty replacement through Easton to get a new model. With the new bat rules, will this bat be legal to use for play whether or not rec, travel, middle or high school. The talk is all about having the USA stamp to be legal. The 2018 Easton Beast X Speed BBCOR Baseball Bat: BB18BXS is recommended for high school and college players. 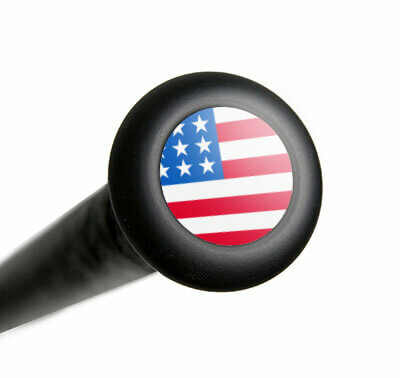 Any player in AABC, Babe Ruth, Cal Ripken, Dixie Youth, Little League, & Pony will need a bat with the USA stamp. How does this bay compare to the Ghost X? Is this bat end loaded or balanced? The 2018 Easton Beast X Speed BBCOR Baseball Bat: BB18BXS features a balanced swing weight. It is a one-piece alloy bat, while the Ghost X is a two-piece fully composite bat. Would you recommend this 2018 Easton Beast X Speed or the Louisville Slugger Solo 618? There isn't a big difference between the two bats. They are both a balanced drop 3 one piece alloy bat with an extended barrel. The differences is in the grip tape and the handle. The Easton has the hyperskin grip tape while the Solo 618 has the lizard skin. Also, the Solo 618 has an anti-vibration handle that reduces sting more than the Easton. The Solo 618 will be a little bit more balanced as well due to the speed ballistic composite end cap. That enables the bat to be more balanced than the Easton Beast X Speed. These extra specs will not help the bat perform better, they are both BPF 0.50. Both bats are great, the choice is completely player preference. Do you recommend getting the Easton Beast X Speed BBCOR or the Easton Ghost X BBCOR? Both, the 2018 Easton Beast X Speed BBCOR Baseball Bat: BB18BXS and the Easton Ghost X BBCOR are going to be good options. Performance wise, they will be very similar but the difference between the two bats is going to be the make up. The 2018 Easton Beast X Speed BBCOR Baseball Bat: BB18BXS is a one-piece full alloy bat and the 2018 Easton Ghost X BBCOR is a two-piece fully composite bat. They are both balanced models as well so it will come down to your personal preference as to which type of bat you like better, either one-piece alloy or two-piece composite. I play competitive 13u travel baseball. I am a contact hitter with good power. I am interested in the 31", 28oz. First, is this bat authorized for travel ball and second do you recommend this bat for durability and good pop? I want a bat that will perform at a high level, not just one tournament. The 2018 Easton Beast X Speed BBCOR Baseball Bat (BB18BXS) is legal for travel ball. The bat will hold up well and last for more than one tournament. The pop and performance of the bat will hold up and will be one of the better performing bats in colder weather (below 55 degrees Fahrenheit). Due to its one piece design, it will be slightly end loaded allowing for someone who is a strong contact hitter to drive the ball. I weigh 160 lbs and I'm 6" tall. Do you think I should buy a 32" or a 33" in this bat? Based on your height and weight, I would recommend going with a 33" version of this 2018 Easton Beast X Speed BBCOR Baseball Bat (BB18BXS). I weigh 175 lbs and I am 5'10". Thinking of getting a 32" or 33" inch in this bat. Which one should I get? Typically, someone with that height and weight would use a 33" bat. However, this is a suggestion. Either work, you should get whatever length you are most comfortable with. If you swing a 32" bat quickly and get a lot of power behind it, a 33" may be a better option. In terms of durability, a 33" will be much more durable due to the added weight and length. Is this an end loaded bat? If not, what drop has the best end load? The 2018 Easton Beast X Speed BBCOR Baseball Bat: BB18BXS is constructed to serve as a balanced bat to allow more control for the hitter. If you are looking for a high quality end loaded bat along the same lines as the 2018 Beast X Speed, I recommend the 2018 Easton Beast X Loaded BBCOR Baseball Bat: BB18BXL. 5'4" - 94 lbs. What size bat? Based on his height and weight, we suggest a 31" bat. If he feel comfortable swinging a 32" bat, that is fine as well. If he wants to go to a 30", that is also okay. This is a suggestion, the player should swing what he feels is the most comfortable. How does this bat compare to the Cat 7? I'm looking for a well balanced bat for singles and doubles hitter. Also a bat that will perform well in the Fall. The 2018 Easton Beast X Speed BBCOR Baseball Bat: BB18BXS is very comparable to the 2017 Marucci CAT 7 BBCOR Baseball Bat: MCBC7 in the fact that they both feature one piece aluminum designs and traditional feels. The Z-CORE Internal Technology of the Beast X Speed creates a massive sweet spot and would work well for singles and doubles hitters. Does the bat have a lot of home run power? If your player's hitting power benefits from a well-balanced bat, this 2018 Easton Beast X Speed BBCOR Baseball Bat (BB18BXS) could provide good home run power. I am 5' 10" and 150 pounds. What size bat should I be using? Based on your height and weight, our general recommendation would be to get the 2018 Easton Beast X Speed BBCOR Baseball Bat (BB18BXS) in the 32"/29 oz. size. I'm 5'6" 120, should I be getting a 31 inch? I know what this bat is like since I have swung this before, and it was a 32" and felt fine. What do you recommend? Based on your height and weight, a 31" would be the suggested size. However, if you have already swung the 2018 Easton Beast X Speed BBCOR Baseball Bat: BB18BXS in a 32" and felt confident with that size, I would go with the heavier 32" model. Does this bat have stamps approved for middle school use? The 2018 Easton Beast X Speed BBCOR Baseball Bat: BB18BXS is a BBCOR bat which means it features a -3 length-to-weight ratio with a 2 ?' barrel diameter. This certification of bat is required for the high school and collegiate level baseball. Typically, middle school league play will require a USA baseball stamp on the bat. AABC, Babe Ruth / Cal Ripken, Dixie, Little League, and PONY will all be affected by the USABat rule change. That being said, some middle schools allow BBCOR bats. If that's the case, you would be all set. It's best to check with a league official before making a purchase. Is this stamped BPF 1.15 for USSSA? The 2018 Easton Beast X Speed BBCOR Baseball Bat: BB18BXS does not feature the BPF or USSSA stamp. How would you compare this bat to the Marucci Cat 7 and 2017 Rawlings Velo BB7V? Are they all balanced bats and does one have a better sweet spot than the other? My son is 14 years old and is 5 foot 11 and weighs 145 pounds. He needs a good high school BBCOR drop 3 bat. All three bats (2018 Easton Beast X Speed BBCOR Baseball Bat: BB18BXS, 2017 Marucci CAT 7 BBCOR Baseball Bat: MCBC7, and 2017 Rawlings Velo BBCOR Baseball Bat: BB7V) are well balanced options, with most players feeling as though the 2017 Rawlings Velo BBCOR Baseball Bat: BB7V is the lightest to swing. The 2017 Marucci CAT 7 BBCOR Baseball Bat: MCBC7 and 2018 Easton Beast X Speed BBCOR Baseball Bat: BB18BXS would offer a little larger sweet spot than the Velo, but any of the three would be a great option for your player. Is this bat legal for high school baseball use? Yes, it contains the BBCOR certification which is required for high school and college play. Is this bat better than the 2017 Easton Whiteout baseball bat? This bat is going to perform and feel very similarly to the Easton Whiteout Z-Core Speed model from 2017. Both bats are designed for a very light swinging feel. My son has previously used a 31" drop 5 2017 Easton XL3 Senior League Baseball Bat: SL17X35, which he did well with. It seemed slightly end loaded but not too much. He needs a BBCOR bat with a similar swing style. What would you recommend? Brand doesn't matter so much as feel. The 2018 Easton Beast X Speed BBCOR Baseball Bat: BB18BXS will feature a balanced swing weight. I would recommend the 2018 Easton Beast X Loaded BBCOR Baseball Bat: BB18BXL if you wanted a bat with a similar swing style as the Easton XL3 Senior League Baseball Bat: SL17X35. (1) Is this bat better than the Lock and Loaded BBCOR Easton? (2) What size barrel is this bat? (1) Due to the more traditional design and excellent initial reviews we have received, I would recommend this 2018 Easton Beast X Speed BBCOR Baseball Bat (BB18BXS) over the Lock & Load model. (2) This bat will feature a 2 5/8" barrel diameter on it. Does this bat meet the new 2018 regulations? The 2018 Easton Beast X Speed BBCOR Baseball Bat: BB18BXS meets BBCOR regulations and would satisfy any league that allows a BBCOR stamped bat. Is this USA approved for the new 2018 bat standards? The 2018 Easton Beast X Speed BBCOR Baseball Bat: BB18BXS is a BBCOR certified (high school and NCAA,) which can be used by some of the leagues that have adopted the USA standards. However, this is not guaranteed to be the case. The 2018 Easton Beast X -5 USA Baseball Bat: YBB18BX5 is the heaviest equivalent under the USA standards. Is there a limit to how short a bat can be at the high school level? All I have found say 36" or less and -3. My son is 5'3" and weighs 100 lbs. What advice can you give me on size and weight? He really likes the look of the Beast X. There is no restriction on the length of a BBCOR bat (BBCOR bats are made from 29-34 inches). As for what size to get the 2018 Easton Beast X Speed BBCOR Baseball Bat: BB18BXS in based on your son's height and weight, we would recommend a 29 inch model. I assume this bat is not end-loaded correct? Please confirm. That is correct. The 2018 Easton Beast X Speed BBCOR Baseball Bat: BB18BXS will feature a balanced swing weight designed to deliver more speed behind the ball at contact. Is this bat more or less end loaded than the Voodoo balanced BBCOR bat? The 2018 Easton Beast X Speed BBCOR Baseball Bat: BB18BXS is slightly more balanced than the 2018 DeMarini Voodoo BBCOR Baseball Bat: WTDXVBC. Does this bat qualify to be used in Babe Ruth league? It will depend on what level of Babe Ruth the player is in. BBCOR bats like the 2018 Easton Beast X Speed BBCOR Baseball Bat: BB18BXS are not allowed until you reach the 13-15 year old level. Is this bat more or less end loaded than the Easton MAKO Beast? Both the 2018 Easton Beast X Speed BBCOR Baseball Bat: BB18BXS and the Easton MAKO Beast are balanced models. If one was seeking to determine which one is "more" balanced this would be a personal opinion. In my opinion the MAKO Beast is slightly more balanced. Can I use this bat at the cages using the yellow pitching machine balls? The 2018 Easton Beast X Speed BBCOR Baseball Bat: BB18BXS is not an ideal bat to use with the yellow dimple balls. The reason for this is that the dimple balls are heavier than a regular baseball. We would recommend using an older bat or non-game bat in the cages with the yellow dimple balls. Does the Beast X Speed have power to hit home runs? I don't want a contact bat. Yes, you can hit home runs with the 2018 Easton Beast X Speed. All BBCOR bats will have similar pop due to the BBCOR restriction. Now that Little League allows both BBCOR and USABat standards in Juniors and Intermediate (as of 15 Feb 18), which is the more powerful standard? If your player was big enough to handle the heavier BBCOR bats with a -3 length-to-weight ratio, I would recommend getting a BBCOR bat. The reason I make this suggestion is because there is no inherent advantage in regard to performance on the USA rated bats or the BBCORs. However, the BBCORs are much heavier and if you can handle the extra weight, you'll be able to put more force in the ball and hit the ball further when compared to the USA bats. I know BBCOR bats have the same pop, but in comparison with the CAT 7, what would you pick and what are some of the differences? The 2018 Easton Beast X Speed BBCOR Baseball Bat: BB18BXS and the 2017 Marucci CAT 7 BBCOR Baseball Bat: MCBC7 feature one-piece, alloy construction with balanced swing weights. The difference between the two will be the alloy used to make each bat. The Beast X uses ATAC Alloy which is considered to be the strongest and most powerful alloy in the Easton lineup. The Cat 7 uses AZ4X Alloy which is considered to have an extremely high response rate. Additionally, the Cat 7 features a AV2 Knob on the handle to offer a better feel and less negative vibration. It would be hard for me to pick one over the other since both are very high quality bats. My son will be 13 in May. He's 5'9 120 pounds what size and weight bbcor bat do you recommend? I would recommend the 2018 Easton Beast X Speed BBCOR Baseball Bat: BB18BXS in a 31" 28oz. My son is 5 foot, 110 lbs. What bat would you recommend? Needs a drop 3. Based on your sons height and weight we would recommend a 29"/26 ounce 2018 Easton Beast X Speed BBCOR Baseball Bat: BB18BXS. What size bat would I need for my son - he is 14 years old, 5 ft 5 and 190 pounds. Would this be a good fit? Based on your sons height and weight we would recommend a 32"/29 ounce 2018 Easton Beast X Speed BBCOR Baseball Bat: BB18BXS. Does it have the new 2018 stamp requirement for the senior league division? I think the USA stamp. The 2018 Easton Beast X Speed BBCOR Baseball Bat: BB18BXS will feature the BBCOR stamp. If you are seeking a bat with the USA stamp that is similar to this model then you would want to consider the 2018 Easton Beast X -10 USA Baseball Bat: YBB18BX10, 2018 Easton Beast X -5 USA Baseball Bat: YBB18BX5, or 2018 Easton Beast X -8 USA Baseball Bat: YBB18BX8. My son is interested in this bat, he knows more about bats than I do, but I also know he likes the looks as well. I was told by his coach that it needs to have the USA baseball insignia, no larger than 2 5/8, does this bat meet both those requirements? The 2018 Easton Beast X Speed BBCOR Baseball Bat: BB18BXS is a BBCOR bat, so it does not have the USA stamp. Depending on what league he plays in and his age group, he may be allowed to use a BBCOR bat under the new USA Baseball rule. The barrel is 2 5/8. I'm 14, 6'1" and weigh 165 and I have to be able to use it in travel ball as well as middle school ball. What size should I get? Based on your height and weight, we would recommend getting the 2018 Easton Beast X Speed BBCOR Baseball Bat: BB18BXS in a 33 inch model. Does the bat come with a warranty? The 2018 Easton Beast X Speed BBCOR Baseball Bat: BB18BXS will feature a 12 month warranty from the date of purchase through Easton. What bat would be better for me the Beast X Speed or Beast X Loaded? I'm 6"2" and weigh 170. Whether to get the 2018 Easton Beast X Speed BBCOR Baseball Bat: BB18BXS or the Beast X Loaded will all come down to personal preference. If you prefer an end-loaded bat then the Beast X Loaded would be the bat otherwise if you like a balanced bat then we would recommend getting the 2018 Easton Beast X Speed BBCOR Baseball Bat: BB18BXS. I'm 15 yrs old 5'11" and 185 lbs. What would be the best bat size? Based on your height and weight we would recommend a 33"/30 ounce 2018 Easton Beast X Speed BBCOR Baseball Bat: BB18BXS. Does the Easton Beast X Speed have the same barrel size as the Beast X Loaded? And do they have the same sweet spot length? Yes, the barrel length and sweet spot size should be nearly identical between these models. The major difference is the 2018 Easton Beast X Speed is a balanced model to allow for better handling of the bat and bat speed, while the 2018 Easton Beast X Loaded has an end-loaded design to shift more mass to the point of contact, and giving it a top-heavy feel designed more for power hitters. Is there a huge difference between the Beast X Speed and Beast X Loaded when it comes to power? Does it over match the other by a lot when it comes to power? Is there still a contact aspect with the Loaded? The 2018 Easton Beast X Speed BBCOR Baseball Bat: BB18BXS swings much lighter than the 2018 Easton Beast X Loaded BBCOR Baseball Bat: BB18BXL so it's a typically the better option for the majority of players. The 2018 Easton Beast X Loaded BBCOR Baseball Bat: BB18BXL provides a little more mass behind the ball to create more force. This added mass usually only benefits the strongest few players on a team who aren't hindered by the added swing weight. Are the Easton Beast Speed X and Easton Beast Hybrid allowed for Babe Ruth play? My son is 5'8" 140 lbs, and am trying to decide between 31" and 32", which would you recommend? These bats are BBCOR certified, so would be allowed in ages 13 and up under Babe Ruth rules. We would recommend a 31" or a 32" for his size, depending on personal preference. Other factors to consider would be how far he stands from the plate, hand placement on the bat, etc. I am debating between two bats for my son. He is 16 and 5"10' and 170 pounds. He is a single and doubles hitter playing High School JV. I am looking at the 2017 Z Core Hybrid and the 2018 Beast X Speed unless you have another suggestion. Which would be better? What size, 32 or 33? He also plays in upstate NY so some play temperatures are cooler. The 2018 Easton Beast X Speed BBCOR Baseball Bat: BB18BXS may be a better option for your player as this bat will have a balanced swing weight while the Z-CORE Hybrid has more of an end-loaded weight distribution which typically is better suited for power hitters. Of course the selection of the correct bat is more feel than anything else. Since both bats feature alloy barrels they would both suit the temperatures that a player will encounter in upstate NY. The one inherit advantage of the Z-CORE Hybrid is the two-piece design. On impact a two-piece bat will flex and thus if the ball is not hit correctly on the barrel one will not typically feel much in the way of vibration or stinging of the hands. The 2018 Easton Beast X Speed BBCOR Baseball Bat: BB18BXS is a one-piece bat so a player will know when they mis-hit a ball as it will sting their hands. As for size, based on the player's height and weight a 33 inch model would be our suggestion. What size bat would you recommend I get if I"m 5"9" tall and 160 pounds? Is this an approved bat for the new 2018 USA bat regs? The 2018 Easton Beast X Speed BBCOR Baseball Bat: BB18BXS is BBCOR approved, which is the governing body that oversees high school and NCAA regulated baseball. The performance will be comparable to the USA bats, but you will have to check directly with your league to see if they will allow BBCOR bats. How is the pop of this bat compared to the Cat7 and the Velo? The pop of the 2018 Easton Beast X Speed BBCOR Baseball Bat: BB18BXS is going to be quite similar to both of those bats because they all are held to the same BBCOR performance standards. However, this Beast X Speed should swing extremely light and provide optimal bat control through the zone for you. What length do you prefer if I weigh 300 lbs and stand 5'10"? At your height and weight, we would recommend a 33" or 34" size of the 2018 Easton Beast X Speed BBCOR Baseball Bat (BB18BXS). The decision between those sizes would have to be left to the player and what he felt inclined to use (I think there is the potential for either size to be used). Is this bat two-piece composite? The 2018 Easton Beast X Speed BBCOR Baseball Bat: BB18BXS features a one-piece, aluminum alloy design. I would consider the 2018 Easton Ghost X BBCOR Baseball Bat: BB18GX if you are looking for a two-piece composite bat. I am 5-8 100 pounds. What size size bat should I get? Based on your height and weight, I would recommend either a 29" or 30" size bat. Luckily, this 2018 Easton Beast X Speed BBCOR Baseball Bat: BB18BXS is available in the 30" option. I am 5'8'' and 100 pounds. What size should I get? Based on your height and weight, I would recommend getting the 2018 Easton Beast X Speed BBCOR Baseball Bat: BB18BXS in a 30''. Is this bat eligible for collegiate play? Yes, college baseball requires the BBCOR certification stamp of approval, so this bat will be legal. What is the difference in terms of enhancements and performance between the Easton Beast X Speed and the Easton Z-Core White Out? The 2018 Easton Beast X Speed BBCOR Baseball Bat (BB18BXS) and 2017 Easton Z-CORE SPEED Limited Whiteout BBCOR Baseball Bat (BB17ZSW) are similar bats but the 2018 Beast X Speed will feature Advanced Thermal Alloy Construction (ATAC). This material should create a stronger barrel. Is this a USA approved bat with a stamp on it for little league? This bat will not have the USA stamp required for 2018 Little League on it. However, the 13-14 age division are allowed to use BBCOR stamped bats. I would check with your coach or league commissioner to make sure what is allowed for your league and age range. Is there a difference between the Beast X Speed and the Beast X Speed Whiteout? This 2018 Easton Beast X Speed BBCOR Baseball Bat (BB18BXS) and the Dicks' Exclusive Beast X Whiteout Speed will be the same bat. The only difference is thew exclusive color scheme on the Beast X Whiteout bat. My son is using a 31" drop 5 2017 easton beast X Senior League Baseball Bat: SLI8BX5 -which he is doing very well with. It seemed slightly end loaded but not too much. He needs a -3 BBCOR bat with a similar swing style. Will this work for him? Also, I don"t see it offered in a 31 on your website. Does Easton make the bat in a 31? The 2018 Easton Beast X Speed BBCOR Baseball Bat: BB18BXS will have an extremely balanced swing weight for your player. While this bat has been manufactured in a 31" size, we do not currently have those in stock at the moment. Furthermore, if you are looking for a slightly end loaded option available in the 31" size, I would recommend looking at the 2018 Easton Beast X Hybrid BBCOR Baseball Bat: BB18BXH. Would this be a useful youth baseball bat for me? I'm 13. The 2018 Easton Beast X Speed BBCOR Baseball Bat: BB18BXS is an excellent bat to consider if someone is needing to swing a BBCOR model. 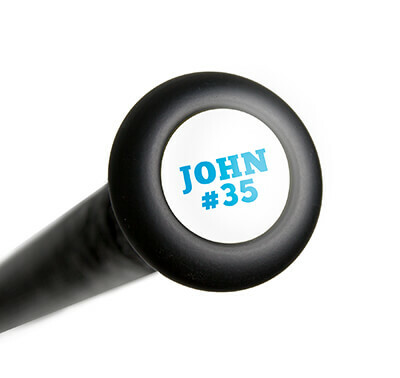 It will feature a balanced swing weight design making it an ideal fit for both contact and power hitters alike. The -3 length to weight ratio can make it tough for some 13 year old players to swing and with the thicker barrel walls the bat will perform more like a wood bat. No, the 2018 Easton Beast X Speed BBCOR Baseball Bat: BB18BXS does not have USA Baseball stamp. It is BBCOR certified. The heaviest USA Baseball stamped bat will be a -5. Have only used a couple of games and it seems "dead". I have noticed if you shake the bat there is rattle sound inside like something is loose. Have you seen this before? The rattle that you are hearing within the 2018 Easton Beast X Speed BBCOR Baseball Bat: BB18BXS is most likely the cause of small particles of resin breaking away from the barrel wall of the bat. This resin is used to seal the end cap to the barrel and is often times over-applied to make sure the end cap does not pop off during use. As for the bat becoming "dead", we have not seen anything regarding this and most BBCOR bats feel like wood bats, performance wise, due to thicker barrel walls. Is the speed better than the hybrid, or the other way around? Both the 2018 Easton Beast X Speed BBCOR Baseball Bat: BB18BXS and the Beast X Hybrid are good bats. It will just depend if you prefer the stiffer feel of the one-piece Beast X Speed or if you prefer the flex offered in the two-piece Beast X Hybrid. Would you prefer the Beast X Loaded or the Rawlings Trio End Loaded for a power hitter? The 2018 Easton Beast X Speed BBCOR Baseball Bat: BB18BXS would be a great option for power hitters. It has been a highly rated bat for the new 2018 BBCOR bats. The 2018 Easton Beast X Speed BBCOR Baseball Bat: BB18BXS would be great for both power hitters and contact hitters. Has this bat been discontinued? I cannot find any. Unfortunately the Easton Beast X Speed BBCOR Baseball Bat: BB18BXS is no longer being made. The model that has replaced it is the Easton Project 3 Alpha BBCOR Baseball Bat: BB19AL.